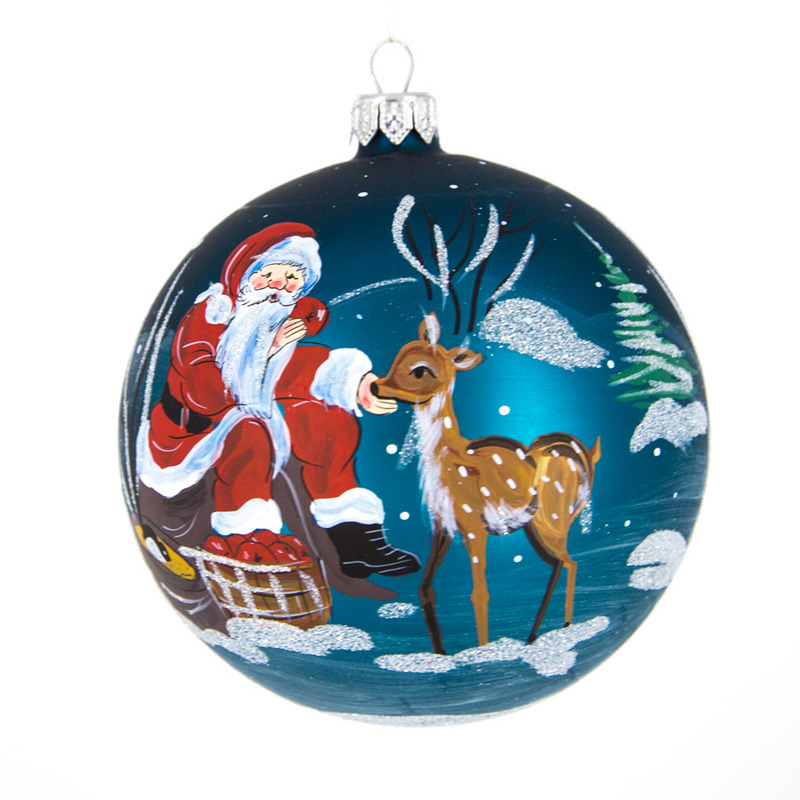 The typical Christmas scene with Santa and his reindeer. 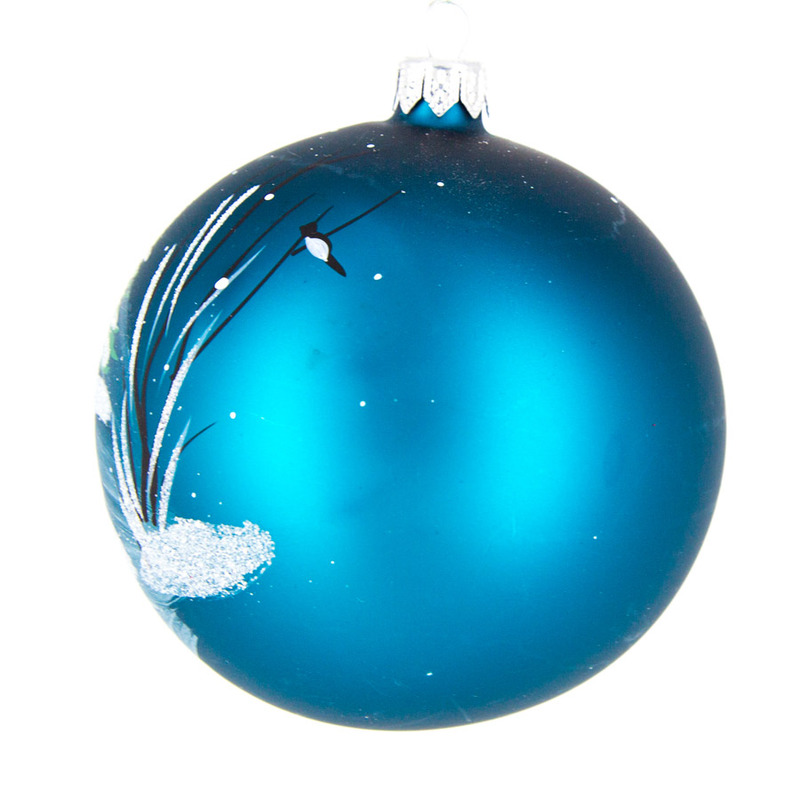 This bauble has a dark blue metallic background that glistens under bright christmas lights. Add a personalised message and choose your font colors below before adding to your cart.